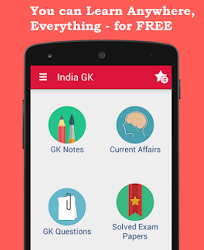 21, 22 November 2017 Current Affairs MCQs, Quiz, Questions: Current Affairs for November 2017, Daily Multiple Choice Questions (MCQs) for India GK, World GK and current affairs with Collection of daily objective type Question by www.Indiagk.net based on General Knowledge (GK) and General Science (GS) Questions for UPSC, State PSC, SSC, Police exam, Railway exam, SBI, Bank PO, IBPC, SSC, LDC, UDC, Army, Airforce, Navy, Coast Guard, Bank Clerk, TET and all entrance examination with current affairs News, Multiple Choice Questions (MCQs) available on Website www.IndiaGK.net and Android Apps with daily updates:. Which city will host Global Entrepreneurship Summit-2017? Name the actress who becomes UNICEF celebrity advocate for child rights? Who is re-elected as Judge from India at International Court of Justice? Which becomes first asian firm valued over $500 Billion? Union Cabinet on 22nd November approved the setting up of -------- Finance Commission?